In any famine, children are one of the groups most vulnerable to mortality. This was the case during Ireland�s Great Famine. In the 1840s, children and the aged made up approximately one-third of the Irish population, yet they accounted for three-fifths of the deaths between 1845 and 1851. Regardless of the renewed scholarly interest in the Great Famine that has taken place since 1995, little has been written on how children suffered, survived or perished during the tragedy. In contrast, children (and women) have been prevalent in visual representations of the Famine, commencing with James Mahony�s skeletal figures that appeared in The Illustrated London News in 1847 and 1849. Children also feature prominently in works of fiction, especially children�s literature. In contrast, there are no publications by historians that examine the impact of the Famine on children. Children and the Great Hunger breaks this silence. 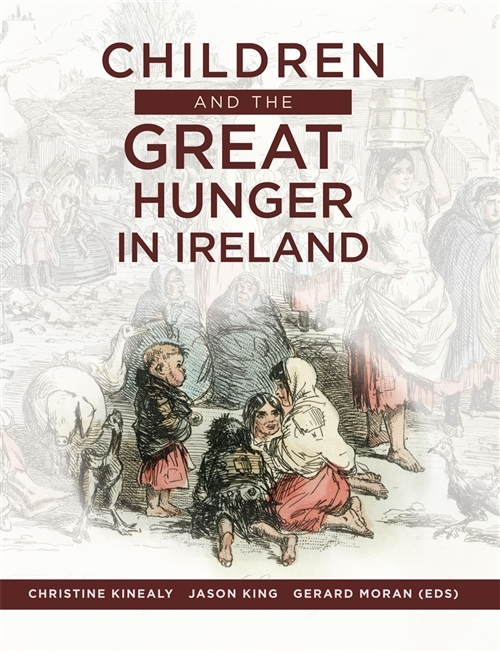 This collection brings together research by scholars on both sides of the Atlantic who explore a number of themes that suggest the varying impact of the Famine on children both in Ireland and overseas. The early chapters demonstrate how government relief, most notably the Poor Law, failed to make special provision or protection for children, treating them as being as �undeserving� of assistance as adults. A consequence of this approach was exceptionally high child mortality, as the chapter, based on a study of the skeletons in the Kilkenny workhouse grave, shows. Other chapters focus on emigration, the loss of language, the maintaining of an Irish (Catholic) identity, folk memories, children�s literature, and writing a Famine curriculum. In keeping with its multi-disciplinary approach, Children and the Great Hunger opens and concludes with reflections by award-winning Irish authors, Marita Conlon-McKenna and Michael Collins. Overall, Children and the Great Hunger adds to our understanding of the impact of the Great Famine, by seeing it through the eyes of the most vulnerable group in society, who often had little voice or agency. The number of children that perished is shocking, but the fact that so many survived is remarkable. Moreover, those who survived shaped not only post-Famine Ireland, but societies much farther afield. Children and the Great Hunger tells some of their stories, while acknowledging that there are many more still to be told. Christine Kinealy is Director of Ireland�s Great Hunger Institute at Quinnipiac University. Jason King is Irish Research Council Postdoctoral Research Fellow, National University of Ireland, Galway and Gerard Moran is an Emeritus Researcher at the University of Galway.